This Q&A was conducted by Heather Saunders, photographer and author of Flower House Detroit, for inclusion in the opening pages of the book. 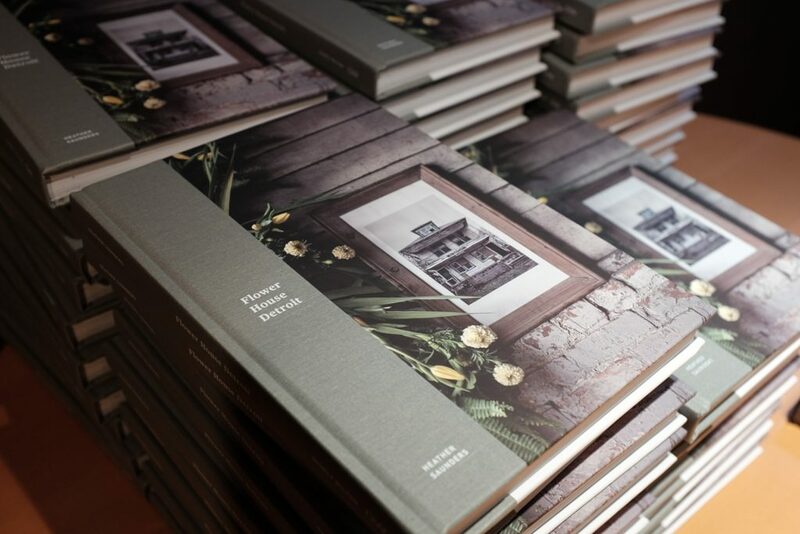 Flower House Detroit, a book conceived, written, illustrated, and produced by Heather Saunders. One of the collective decisions made at the onset planning of Flower House was the resolution to use only American-grown flowers in the exhibition. Lisa spoke to this in her foreword. All of the artists felt passionate about this project generating a conversation about consciously sourced materials and Lisa reached out to Slow Flowers founder Debra Prinzing to get more info on how to best share this message. 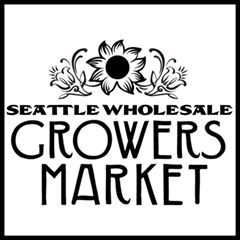 Debra is a Seattle-based author, speaker, and powerful advocate for American-grown flowers. She is the authoritative figure on what Slow Flowers is and means. She hosts a weekly podcast on the subject and has created a directory of floral professionals that carry, sell, and distribute domestically grown flowers. I met Debra in person when she visited Preview House in May 2015. I loved how passionate she was about getting the slow flowers message across to so many people. I decided to ask Debra a few questions from a consumer perspective, as I felt that this was information that EVERYONE needed to know. I wanted to understand how plant and flower selections were made based on their application and appropriateness and why the decision to use only domestic or local materials in our project was essential. With a focus on the environmental and social footprint created, a directional shift is happening in regards to sourcing flowers and plants: to purchase as regional as possible, to design with in-season blooms, and to find a florist near you that prides themselves on locally sourced product. Q: WHAT IS THE PHILOSOPHY OF THE SLOW FLOWERS MOVEMENT AND WHY DID YOU CREATE THE ONLINE DIRECTORY? 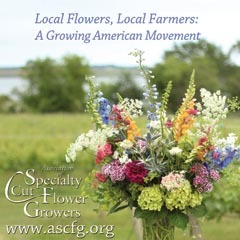 A: The Slow Flowers Movement aspires to be a connection point for flower farmers and florists, encouraging a partnership of sorts to influence and change consumers’ buying practices. You should be able to know the origins of the flowers you order to send to a loved one. You should be assured that the bouquet you carry down the aisle was grown by an American flower farmer. You should know that jobs are being created and nurtured in your community. It’s all about making a conscious choice. It became apparent to me that people want locally grown, domestic flowers, however. 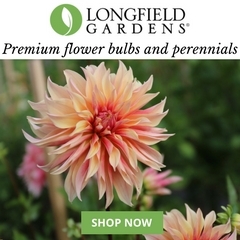 It isn’t easy to find American-grown flowers in the sea of unlabeled imported ones. 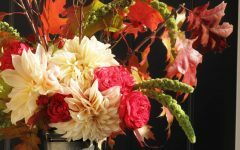 It’s also hard to discover those very special, dedicated designers committed to using flowers from their local farmers or event flowers grown in nearby states, such as during the off season. 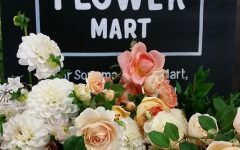 I was inspired to launch the Slow Flowers online directory as a one-stop resources for consumers in search of florists who guarantee the origin of the flowers they use. Q: IS THIS MOVEMENT MORE ABOUT SUPPORTING YOUR LOCAL FARMER OR IS IT ABOUT THE ENVIRONMENTAL/SOCIAL CONCERNS OF OTHER COUNTRIES’ FARMING PRACTICES OR BOTH? A: All these issues are at play when discussing the Slow Flowers Movement. It’s a cause-and-effect consideration. When we purchase locally-grown or American-grown flowers, we are supporting the domestic floral industry, one which is beginning to rebound (according to the USDA Floriculture Census, the number of farms reporting that they grow floral crops increased from approximately 5,000 in 2007 to 5,900 in 2012). I believe people should view flowers the way seasonal food is viewed. I look all the way back to farm-to-table pioneer Alice Waters and her restaurant Chez Panisse in Berkeley, California; that’s about the time when consumers began to consider and celebrate seasonal food as a superior option. Similarly, the floral consumer will gain the most sensory pleasure and appreciation of a flower’s inherent beauty when it is harvested in season. That’s why it seems so strange to me to see flowers like hydrangeas and peonies being used by florists in December or January when those varieties are not naturally blooming in the U.S.
Once people return to the seasonal nature of flowers, they will have an experience similar to the eater of an in-season tomato. Flowers were traditionally grown and brought to the marketplace as seasonal crops. It is only since the early 1990s, when the production began to shift to off-shore suppliers, that we lost our sense of seasonality. Slowflowers.com members are changing the model and returning it back to the cycles of the seasons. When we source local and domestic flowers, we are supporting better farming practices. What is most sustainable is for florists, designers, and their clients to source flowers and greenery on a season-by-season basis (i.e., what naturally grows in-season) from local farms. That is how to achieve the smallest transportation floral footprint. It is possible to source locally in most regions of the U.S. between April and first frost (October or November). Of course, in California, Hawaii, and Florida, “local” is a year-round reality. So that means for designers, florists, and flower consumers living in cold-climate U.S. regions, their sustainable choice is to buy American-Grown flowers (from our country’s warmer flower-producing states) and/or to creatively live in the season during winter. 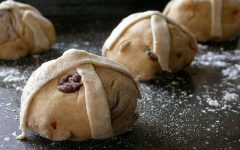 I can give you lots of examples of Slowflowers.com designers in the Midwest, New England and the Eastern Seaboard who source domestically or locally, month by month. This is extraordinary and not the norm, but I think it’s fascinating to see what some of these passionate Slow Flowers designers are doing during the winter months. Q: COULD YOU EXPLAIN THE ENVIRONMENTAL TOLL AND FOOTPRINT CREATED BY PURCHASING FLOWERS FROM OTHER COUNTRIES? WHAT ARE STATISTICS REGARDING THE PERCENTAGE OF DOMESTIC VS. FOREIGN PURCHASES WITH THE UNITED STATES? A: The numbers are staggering. For the past several decades, the domestic floral industry has struggled to do business on an uneven playing field in which about 80 percent of cut flowers purchased by U.S. consumers are imported from other countries. That means only 20 percent of the flowers we purchase to bring into our homes, to give as gifts, to commemorate significant or everyday occasions are grown on American farms. The American flower farmer basically fell through the cracks when the Andean Trade Preference Act was established in 1991. This is a long, complicated narrative linked to the U.S. government’s so-called War on Drugs. The ATPA and other initiatives were created to encourage South American countries to grow something other than cocaine on their farms. Roses seemed to be the solution and the ATPA lifted duties on flower imports to the U.S. The “price” we pay is an environmental price, since inexpensive imported flowers — perishable products with a short shelf-life — require untold volumes of jet fuel to be transported to the U.S. There are economic and human costs to this equation as well. Cheap labor and lax environmental regulations in South America make flowers from that part of the world less expensive than flowers from farms that adhere to U.S. labor/OSHA regulations and EPA environmental regulations. It’s safe to say that any U.S.-grown flower will be safer and is more sustainably grown than any imported flower because of the transportation and labor costs incurred to have cheap flowers. Q: ARE THERE EVER REASONS FOR PURCHASING FLOWERS FROM DISTANT PLACES? A: In my personal opinion, No. But it boils down to personal choice. I am fully aware that the proliferation of Instagram and Pinterest wedding images presents a “world of flowers” to couples and even entices people to want beautiful blooms out of season. This phenomenon has put the wedding industry and floral designers in the position of catering to requests for flowers that may not be growing in the U.S. at the time of a ceremony. And I know it’s a challenge to educate those couples about the environmental or financial or ethical reasons for not buying imported flowers. I know this compromises floral designers and wedding planners who prefer to source domestically. I don’t want to be unrealistic. It happens. But for me, when I offer to design flowers for friends’ ceremonies or occasions, I tell them I will only use American grown flowers. We are beginning to hear from event planners, as well as other industries that rely on flowers, such as restaurants and lifestyle businesses. When people are given a choice to source locally and seasonally, they respond favorably. Couples who are planning their wedding ceremonies are some of the most positive about the stories and people behind their celebratory flowers. The more opportunity we have to connect everyone with American grown flowers, we witness a cultural shift in people’s choices, attitudes and actions. Q: HOW DO YOU FIND LOCALLY SOURCED PLANTS AND FLOWERS FROM INDUSTRY ARTISTS? 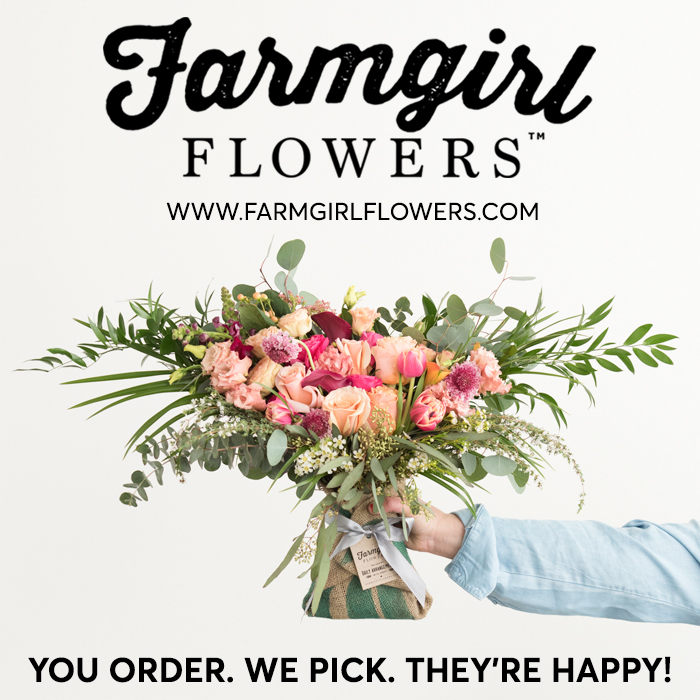 A: I created Slowflowers.com to change the relationship between consumers and producers of flowers and to stimulate conversations between flower farmers and floral designers – and all of this ultimately benefits the floral consumer. The Slowflowers.com website was designed to connect consumers with the source of their flowers and the people who grow and design with those blooms. 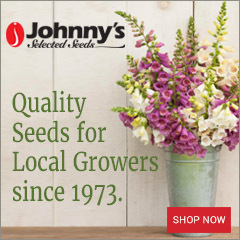 This web site points users to locally-grown, seasonal flowers across the country with the ability to search by category, key word, city, state, or zip code to find one of 700 members in 48 states. 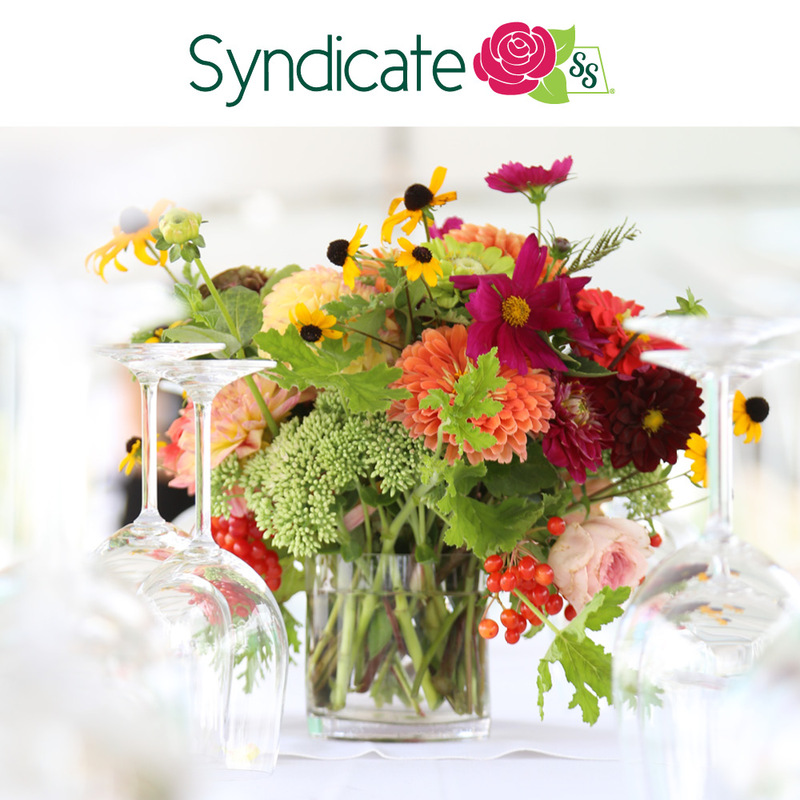 Recently, we added flower farmers and floral designers in Canada to support the Canadian-grown floral community there. Q: WHAT WAS YOUR FIRST THOUGHT WHEN YOU HEARD ABOUT FILLING AN ENTIRE VACANT PROPERTY WITH FLOWERS IN DETROIT? A: When Lisa first reached out to me in 2014 to share her vision for Flower House, I was immediately inspired by her grandiose scheme. But part of me simply thought her dream was unattainable. Over the following months, whenever we had a chance to talk by phone, and ultimately in person on May 1st when I came to Preview House in Detroit, my attitude changed from doubt to confidence, thanks to Lisa’s consistency, focus and optimism. Her re-imagined life for a decrepit residence has made a huge impression on me. I’m so pleased that Lisa gave the Slow Flowers Podcast her first media interview about Flower House in February 2015. In a small way, we helped get the word out and look where she’s taken that platform. Lisa is fierce, fearless, driven to create beauty, committed to the good in all her work – and by her bold actions, she inspires those around her to “up” their own game. We yearn to be bold and radical, too. The inventiveness of Flower House will have a lasting impact on the floral community. We are at a crossroads in time, when the only relationship many Americans have with flowers is as a “commodity” wrapped in plastic at the checkout counter. We don’t know where those flowers come from; we don’t know who grew them or what practices or methods were employed. Flower House tells a completely different story: Flowers are most ephemeral and beautiful when they become a work of art in the hands of a maker; when they are grown on our own land, when we celebrate the entire lifespan of that flower – from seed to installation – and when we honor every human who had a role in bringing that flower to life. Q: WHAT WAS YOUR FIRST EMOTION THE SECOND YOU ARRIVED IN OCTOBER TO SEE THE FINISHED EXHIBITION? A: It sounds a little extreme, but I almost hyperventilated with excitement. I saw Lisa’s abandoned, empty house for the first time when I toured the debris-strewn shell of a structure in May 2015. And then, Flower House lived in my imagination for the following months, as I heard reports about the individual florists who had signed onto the project, and as I learned about some of my favorite flower farms contributing their crops to the endeavor. But nothing really prepared me for the feeling of pure exhilaration that I felt upon driving up to 11751 Dequindre Street that mid-October afternoon and witnessing the flurry of floral activity as designers, many of them my friends in the Slow Flowers Movement, put the finishing touches to the once-empty rooms of Flower House. For the rest of the three-day extravaganza, I witnessed a full range of emotions on the faces of visitors, from the first guest stepping across the threshold on October 16th to the final visitor who exited on October 18th. Flower House influenced everyone who experienced this project. Each moment small and large was a private gift unique to the viewer. 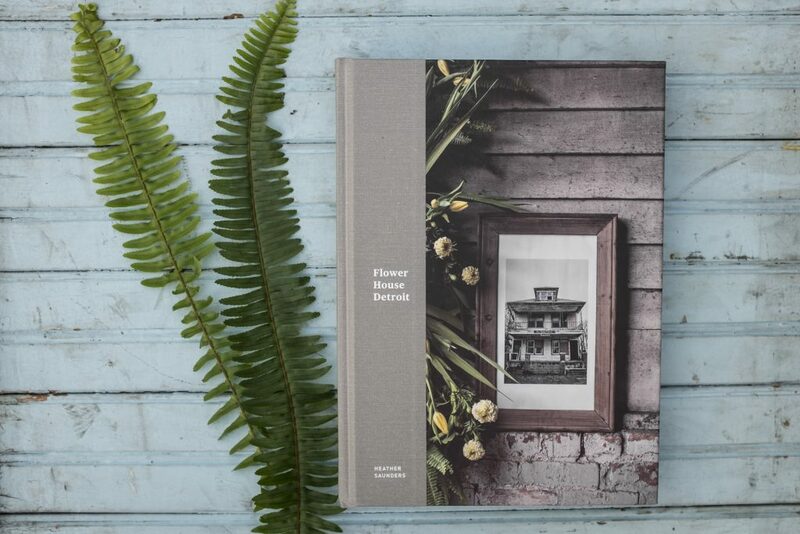 Flower House told an epic story for our Slow Flowers community around the country, and for the greater floral community, even if they couldn’t attend, thanks to the images captured in this book. I know I am not the only one who was so moved by observing the transformation of that neglected, forgotten edifice into a vivid, flourishing, living work of art. Flower House was the ideal stage for the flower farmer-to-florist partnership narrative to occur: for florists to hear the stories of the American flower farms that donated tens of thousands of stems to this living art projectand for flower farmers to witness the way their crops symbolize an entire industry’s shift toward ethical and transparent sourcing. Flower House’s very existence was a tangible, three-dimensional metaphor for what Slow Flowers is all about. 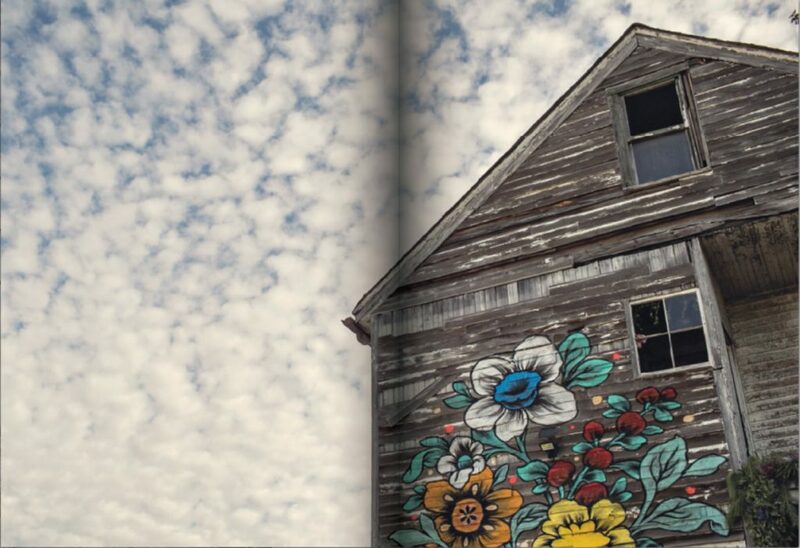 Order your copy of Flower House Detroit here. Listen to my interview with Heather Saunders here. Debra Prinzing is the founder of Slow Flowers and the author of several books.